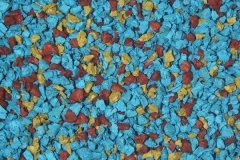 Carnivale Colour Fusion mixes are pre-blended combinations of different types of rubber granules, providing effective and easy multicolour options. The Carnivale blends consist of three ranges; Berry, Vista and Shade. 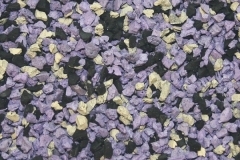 Berry mixes are made up of Opal EPDM and CSBR, Vista mixes are all CSBR, and Shade mixes are CSBR and black SBR. 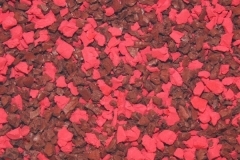 Carnivale colours are like no other, being the only factory colour blend available, and providing colour consistenency with up to approximately 900m² batches possible.